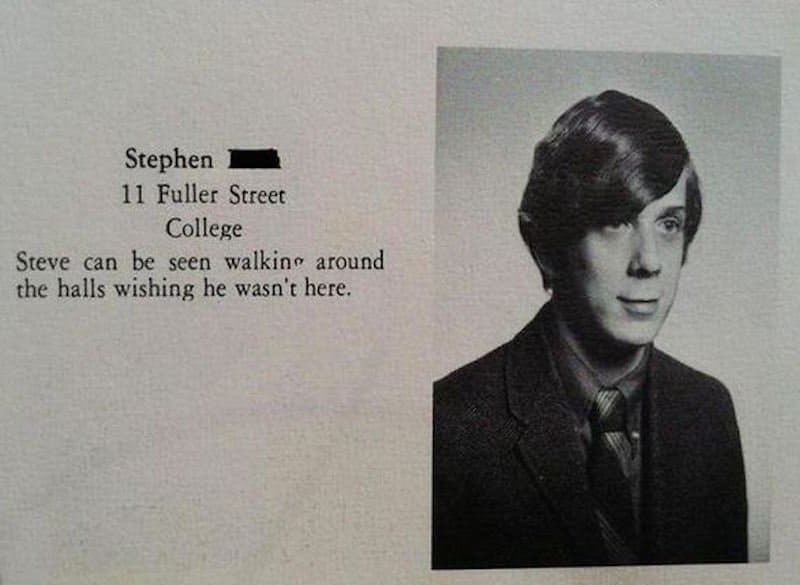 Remember the days when looking great in your yearbook photo was something you thought about all year? 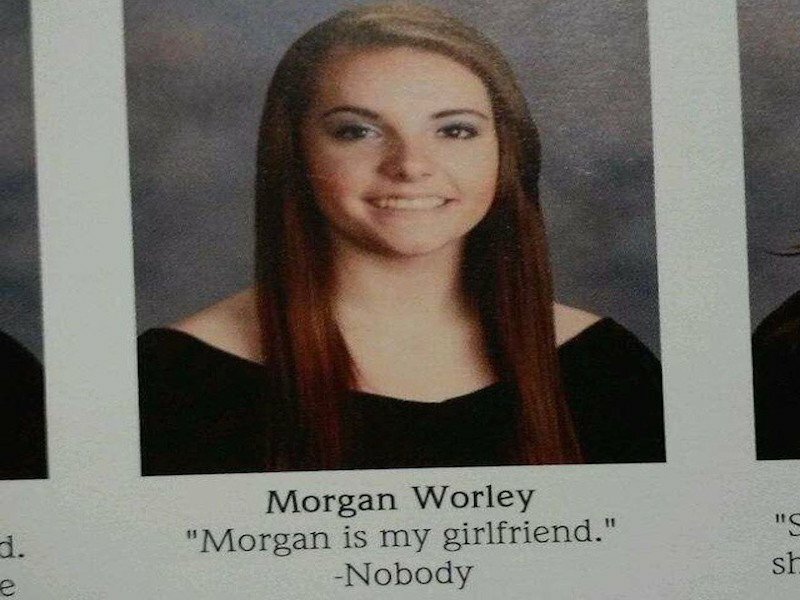 You may have even had a collection of quotes ready and waiting for the moment you had to choose one to go underneath your yearbook photo. While these things may seem like a big deal at the time, yearbooks have a tendency to get put away on a shelf and rarely looked at. Sometimes the quotes that students choose are just too good not to share with the world. 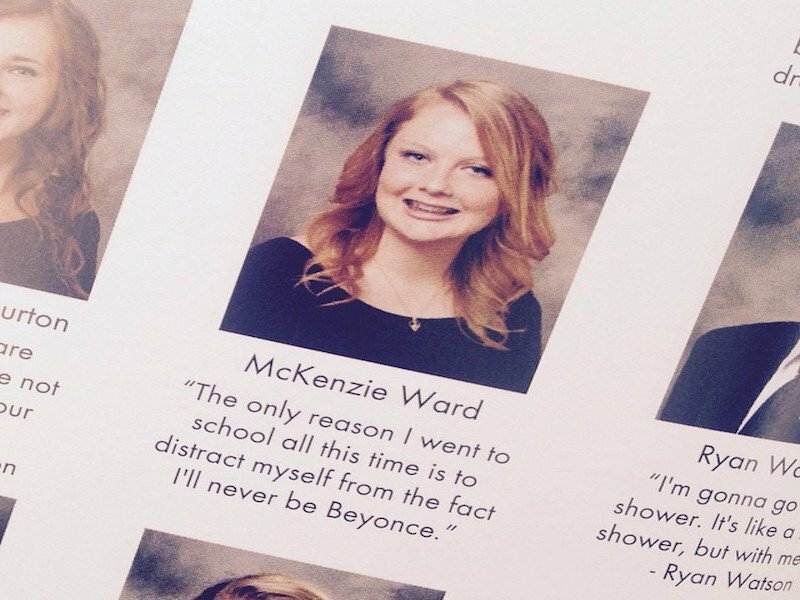 Here are 20 of the funniest yearbook quotes that students chose. 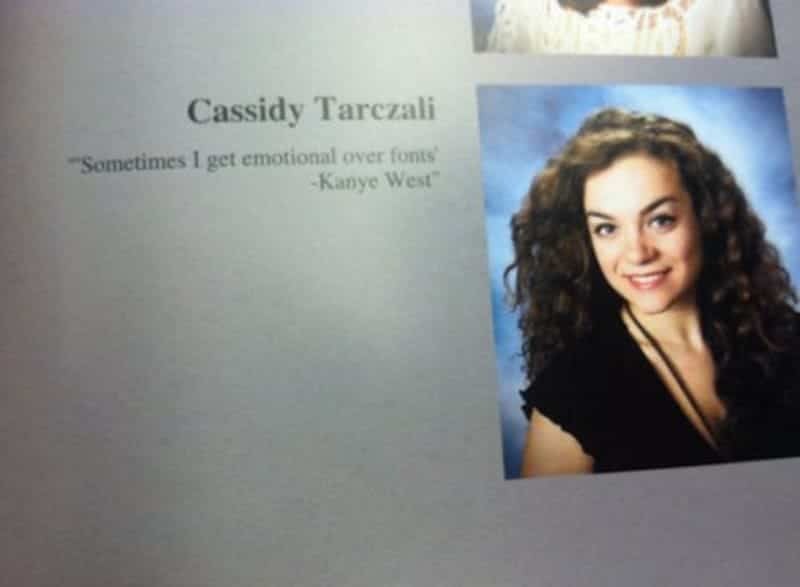 And sometimes, people who read Cassidy’s quote get emotional too, but probably not the way Kanye does. 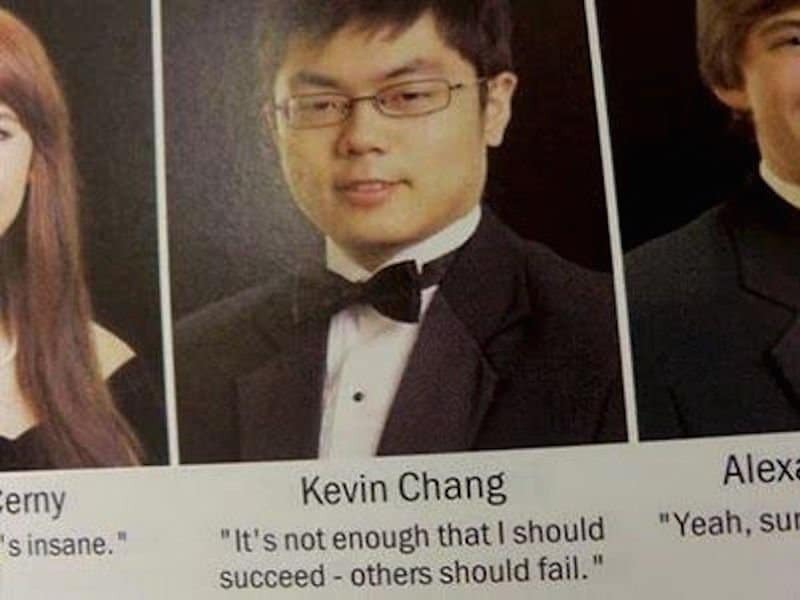 Is this really the quote you want to be associated with for the rest of your life? At least this guy is unforgettable. 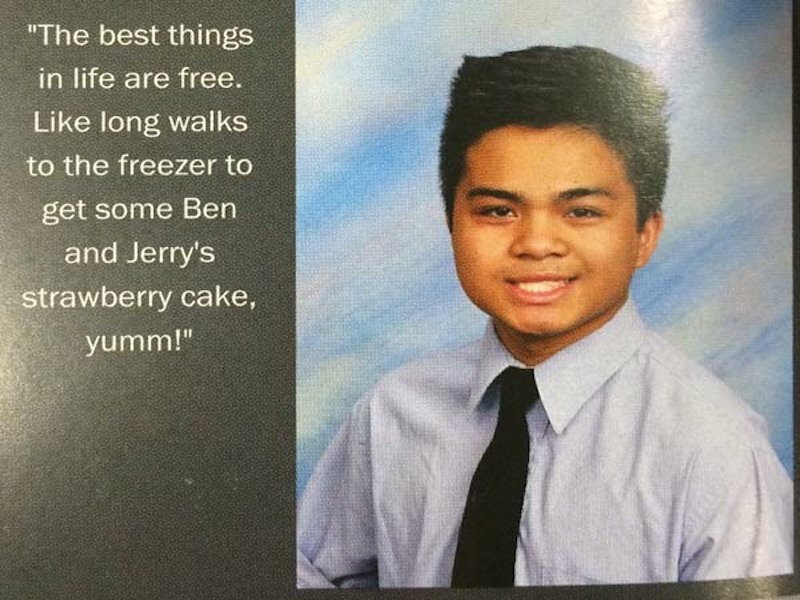 The walk may be free, but the ice cream isn’t. At least it’ll be delicious. 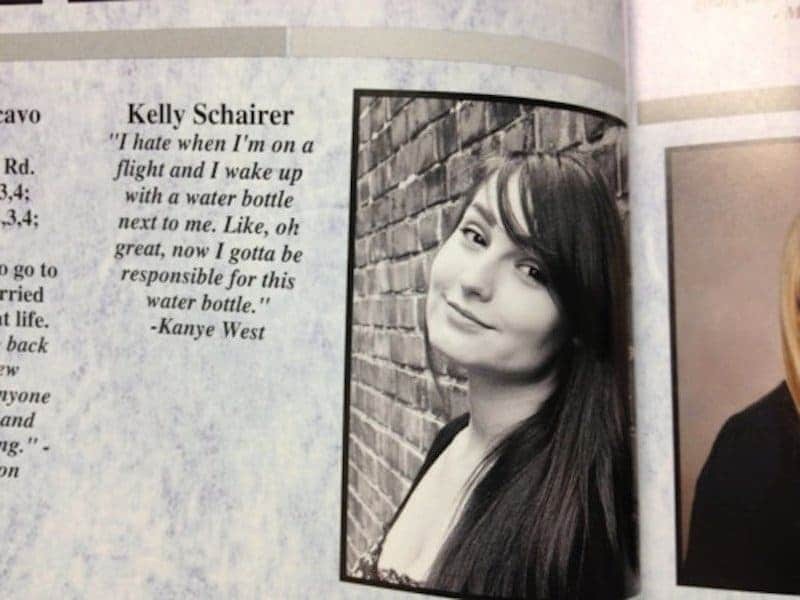 Another student made the great choice of using a nonsensical Kanye West quote, but at least it’s more embarrassing for Kanye than it is for this funny student! Not a bad tactic, McKenzie. 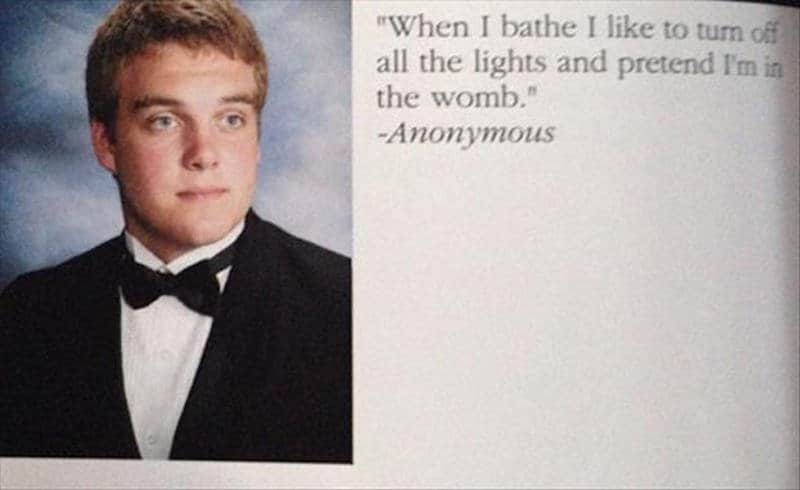 But what are you going to do for the rest of your life? 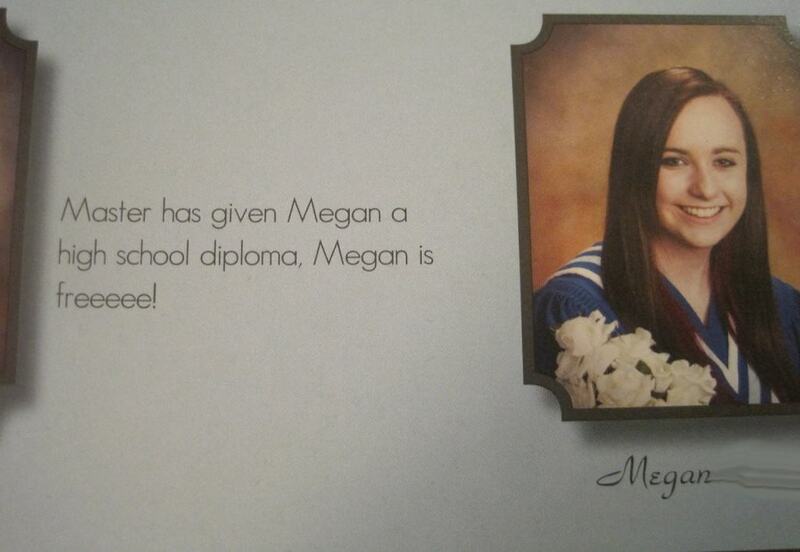 Good way to sneak your love for Harry Potter into the year book, Megan. Wonder if you’ll still love all things Potter at your high-school reunion? After they see this, at least everyone will want to be friends with this funny girl! 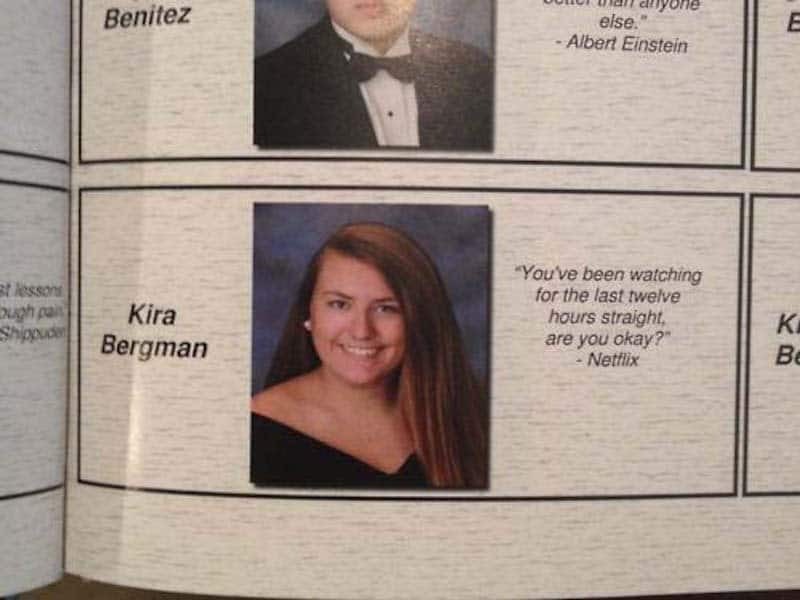 Here’s one yearbook quote that has clearly stood the test of time! Good job, Steve! 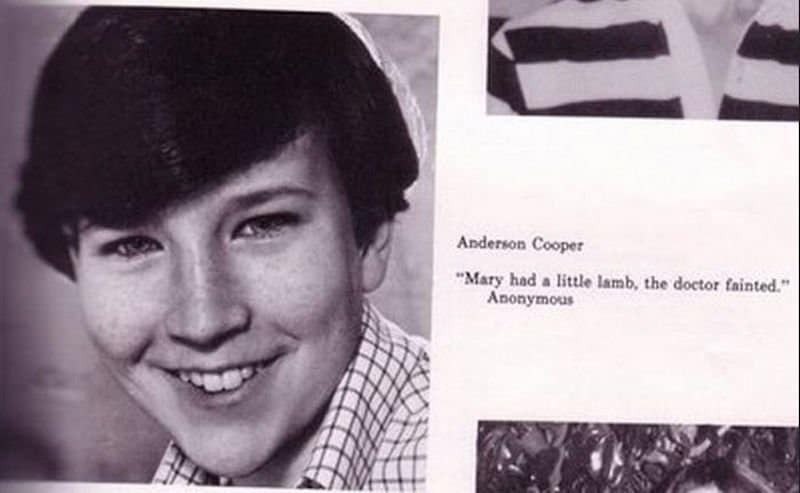 Who knew that this funny little boy would grow up to be not only a silver-fox, but also one of the most popular news anchors of all time? 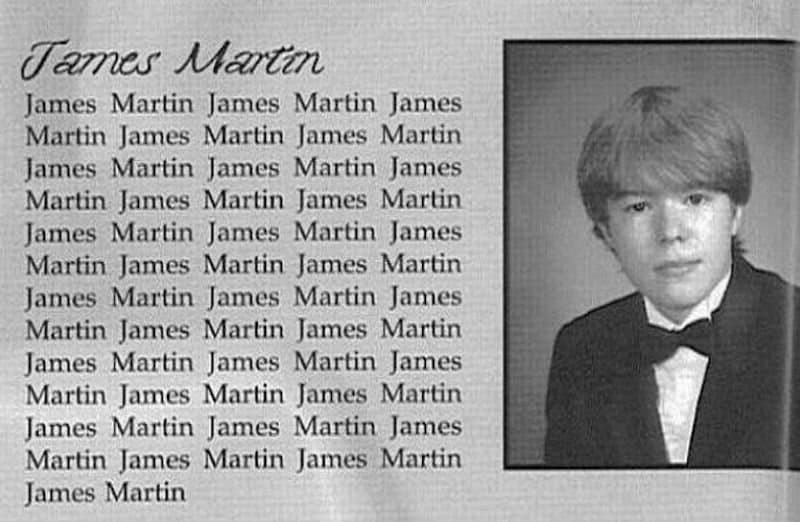 Well, that’s one way to make sure no one ever forgets you, James Martin James Martin James Martin James Martin. Be careful what you wish for, Connor. This could have easily been a whole lot worse. The best part of this quote is imagining people reading it in 50 years and wondering what Netflix is. Well, this is awkward. 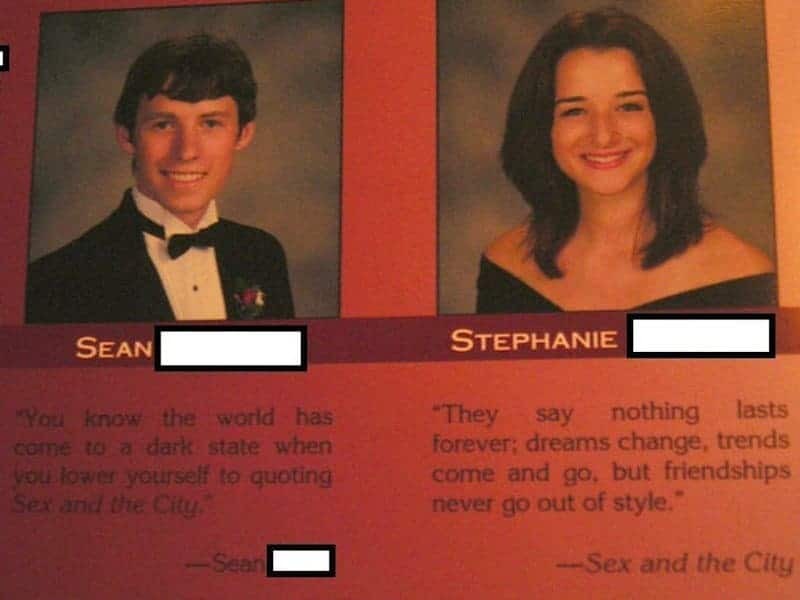 Sean’s quote would be funny on it’s own, but it gets downright hysterical placed next to Stephanie’s. 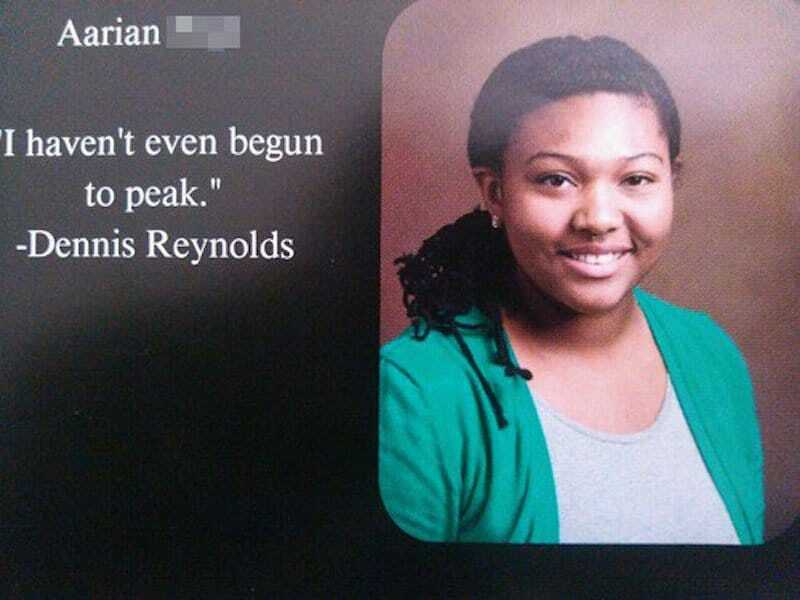 Taking a quote like this from It’s Always Sunny in Philadelphia, one of the funniest shows of all time, and using it in your yearbook actually gives it perfect context. 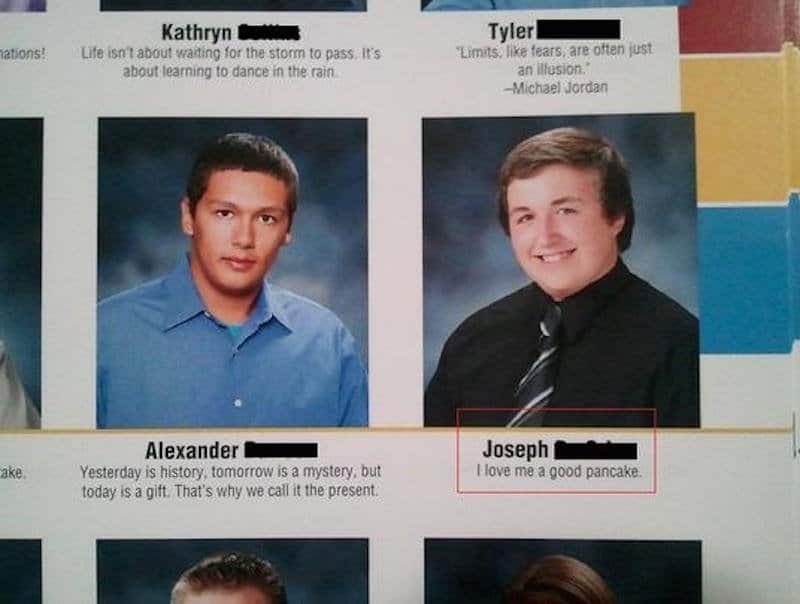 We all love a good pancake, Joseph. 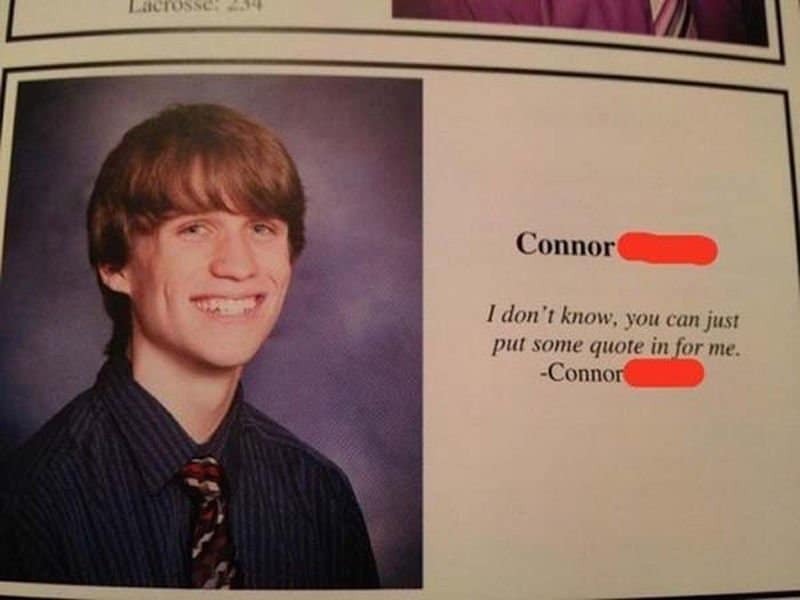 Perhaps you could think of something more original for your yearbook quote? 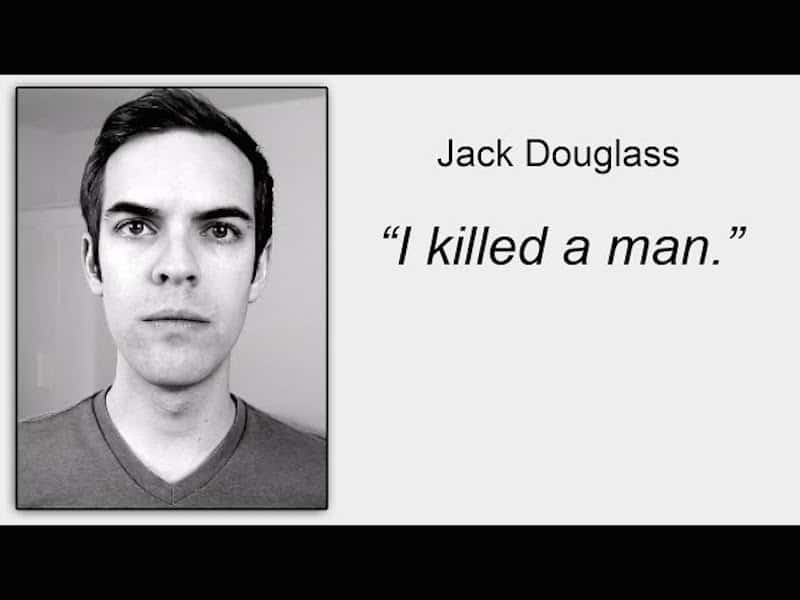 If Jack ever finds himself charged with murder, this is going to be really eerie when they show it on Dateline. 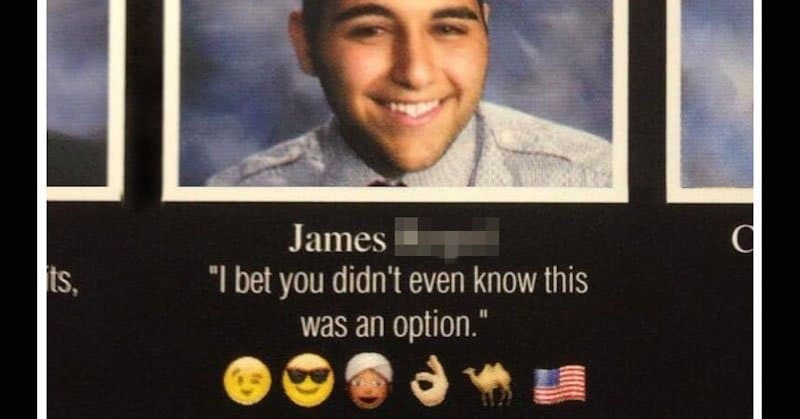 Everyone else can give up, because James wins for most original yearbook quote thanks to his use of emojis. 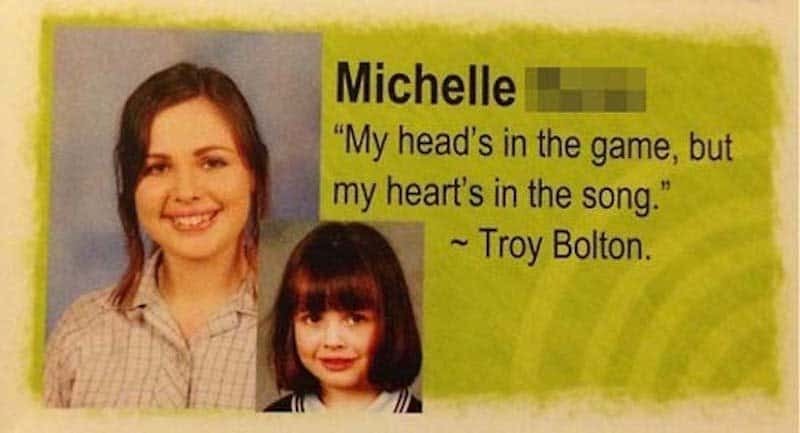 The only thing that would make this High School Musical quote funnier would be if Zac Efron himself used it in his yearbook. Spoken like a true future dictator, or at least the CEO of a Fortune 500 company. Good question. 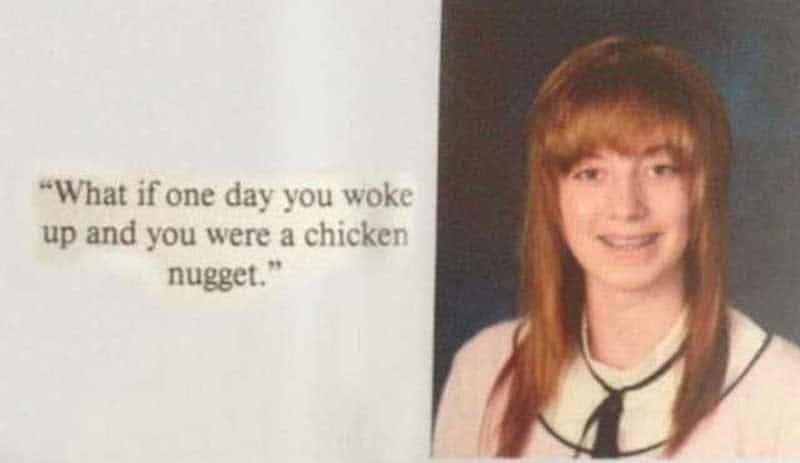 We may never know if this student did, in fact, wake up one day as a chicken nugget. It would make a good movie, though.